"It's about the journey not the destination"...the best summary of our year-long project of connecting with all 50 states. ​The end of the school year is always bittersweet--the excitement of summer vacation and remembering all the awesome learning, exploring, and fun of the year. We are truly bittersweet over the ending of our "Oh! The Places We Will Know" project because we were just a few states shy of connecting with someone in all 50 states; but have made so many connectons along the way! 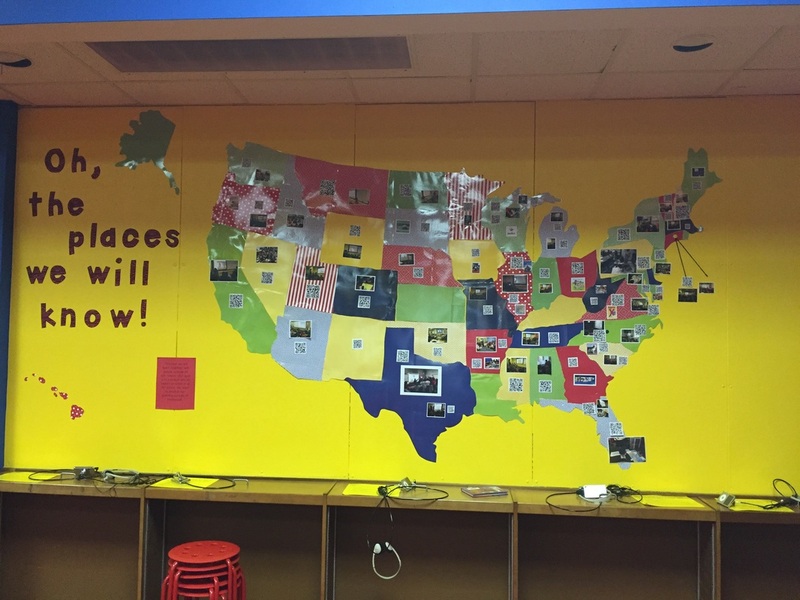 While there may be some blank spaces on our map, ALL of our classes got to experience a connection with someone in another state (and multiple connections for some classes!). When we began this project we wanted our students to see the world outside of our school and community. We wanted them to connect what they were learning in the classroom to another part of the country. We wanted to provide a human connection and make learning real. We certainly achieved these goals. The Skypes were more than just a 30 minute segment of a day, they were learning experiences for our students. As the year progressed many referenced the author, expert, or other class they had previously Skyped with. Mrs. Jones Kindergarten class played mystery number with a 1st grade class in Delaware. We had some technical difficulties so part of the game had to be played over messages, but we still had a lot of fun! The students did a great job of keeping track of the numbers using a 100 chart to mark out wrong answers and keep possible "mystery numbers" in sight! We were so excited to guess their mystery number first! 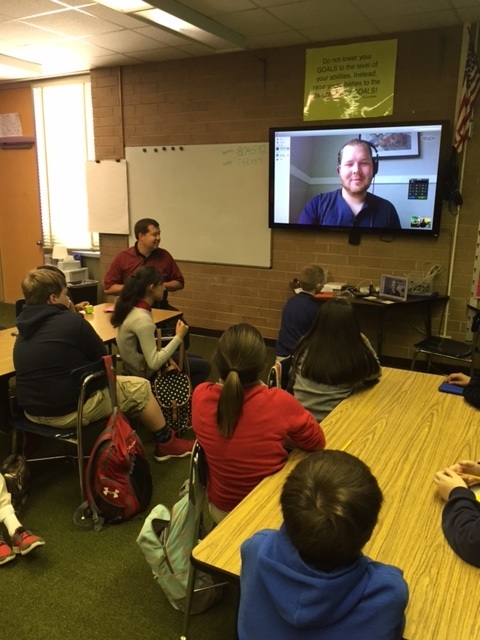 Mr. Safrit's 5th grade class Skyped with Lief Benitez, a recent UNM graduate, about Aerospace Engineering. The students have been studying about force and motion as part of their science curriculum; so it was great to hear from an expert in the field. The students got answers to their question, "When are we ever going to use this?" as well as connections to what they had learned in class. It was great to talk to a true expert in the field. Big thanks to Mrs. Bostian and her 5th grade son Dalton for helping set the Skype up! Mrs. Tuit's 4th grade class participated in a mystery skype with a school in West Virginia, their first mystery skype experience! The students did a great job of studying their maps and asking questions. Ms. Coley was the substitute teacher with the class today and she did a great job marking the class map as states were eliminated. After asking if their state bordered an ocean and if the state name had 2 words we were quickly able to narrow down the state to WEST VIRGINIA!! After skyping the classes shared some facts, and we were excited to learn we both have the Cardinal as our state bird! Mrs. Johnson's 4th grade class participated in a Mystery Skype with 4th graders in North Dakota. The students did a great job of marking states off their maps and the question of "Do you border another country" really helped narrow things down! We were excited to guess their location first; and it was fun to help them quickly discover we were in North Carolina. We loved exchanging facts about our schools. Their students also had iPads; though the only school has 300 students! Grades K-12! A different environment from our life here in NC for sure.